Nice day to ride into our fourth state. Last night we went to sleep with a forecast of storms and flooding. We woke to a overcast sky and no rain. Nice. 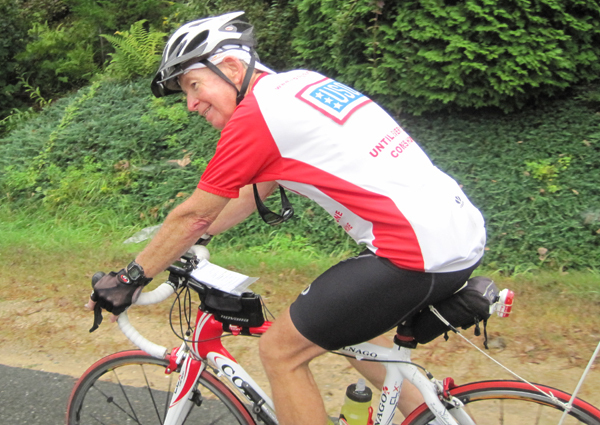 It was a hilly ride through rolling New England countryside. 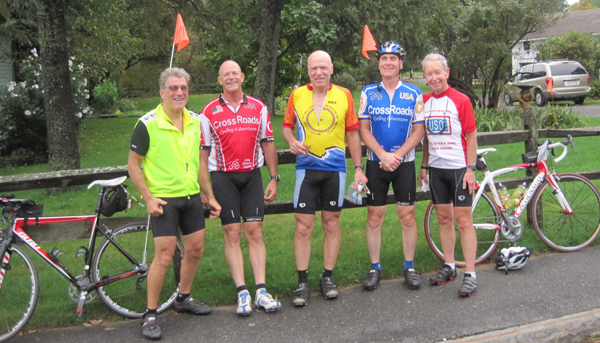 I rode with my now usual group: Jim, Peter, Mike, and Jack. We kept the tempo up most of the day. Out of the SAG Peter left early. When I realized I had a chance to see the M football game I put the hammer down and was two minutes behind him at the hotel. You can learn a great deal from your fellow riders. We went by a museum with the best collection of Shaker furniture in the country. Peter explained that there are two branches of furniture, Boston and Philadelphia. These differences were because of the kind of trees available in each location. 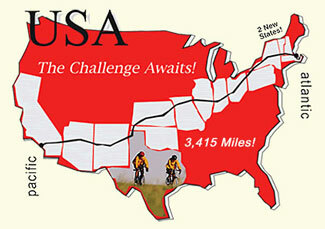 Tomorrow: 95 Miles to Fishkill NY. Little known fact. In 1965 Windsor Locks won the Little League World Series. Tornado damage. This roof used to be on top of the house. The damage was amazing. Missed you at the game yesterday! Sounds like you are having a blast. Go Blue. Glad you are riding safe and fast. The history dork in me is loving your local historical facts, keep them up, and go blue! North to South - that's all downhill isn't it? Hey, a day without equipment failures is a good day. The northeast in fall sounds a lot better than the desert in summer but you're watching the Wolverines on TV when you could be there in person, another reason for your mother to question your sanity. But since you have a penchant for the crazy, go Al! And, Go Blue! At ABC yesterday I told your friends about the problem about your shoe yesterday. We agreed it came as no surprise that you had a screw loose.